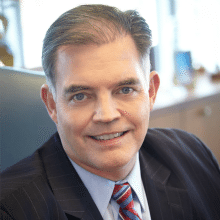 Chuck Prow, General Manager at IBM Global Business Services in Herndon, Va., spoke with WashingtonExec about his latest book: Governing to Win: Enhancing National Competitiveness Through New Policy and Operating Approaches. Governing to Win provides a framework for the federal government on how to maintain national competitiveness, without compromising mission effectiveness, while also reducing cost and waste across agencies. The book features many guest contributors, such as Mark Forman, the first administrator of the Office of E-Government & Information Technology, Raj Sharma, founder of the Federal Acquisition Innovation and Reform Institute and Jeff Steinhoff, Executive Director of KPMG’s Government Institute. Read below to learn more about why Prow wrote the book, Enterprise USA, key operating models, as well as predictive analytics. WashingtonExec: What compelled you to write Governing to Win and why is it so timely with our economy and election? Chuck Prow: A couple of years ago we were asked, along with the Tech CEO Council (TCC), to write a paper that identified ways that the government could reduce costs through operational improvements. The resulting paper was ultimately named “One Trillion Reasons.” The purpose of the paper was to provide real-world recommendations on areas that the Federal Government could focus on to reduce costs in light of our current fiscal situation. The paper identified a trillion dollars of savings over approximately an eight to ten year period of time or $125 billion a year. That paper was helpful in framing discussions around areas like cloud computing, IT optimization, analytics, and shared services. However, as we talk to our clients over the last three years it became clear that the conversation really needed to be broadened to include not just cost reduction but national competitiveness. That is, how can we improve the ability of our County to compete in the global economy, which is directly related to how we improve the missions that are provided within government while at the same time reducing the overall cost of government. WashingtonExec: Why does the annual deficit and long term debt of our nation matter to our competitiveness? Can you also talk a little more about Enterprise USA? Chuck Prow: As we began to frame the conversation around the book it is clear that we as a nation need to focus on revenues, entitlements, regulation. We are ultimately going to be left with the task of having to significantly reduce the cost of government, whether it is $125 billion a year or you pick you number, it is a very large number. The conversation needs to be about how we can enhance mission effectiveness while we continue to drive down the cost of government. Imagine if the US federal government was the exemplar of how we develop young leaders that are entering the government from our undergraduate institutions. What if the federal government were the exemplar by way of energy consumption and the overall cost of healthcare? This book is not trying to say that government is not operating effectively. There are many stand-out examples from across the federal government. The challenge is that those types of improvements, those examples are not yet systemic and replicated across the government. Hopefully what the book does is provide a framework by which we can take the best government examples and the best private sector examples and frame them in such a way that we can contribute to lowering the cost of government without compromising mission effectiveness. WashingtonExec: Could you talk a little bit more about the value oriented operating model and how the government can actually achieve more with less without compromising mission effectiveness? It seemed to be a core theme in your book. Chuck Prow: Sure, I think that is exactly right. One of the mistakes that I made early on in my career, and I think that many make as they enter public sector consulting, is they assume that the government behaves like a corporation and that applying commercial best practices alone can improve government effectiveness. Well, in fact, government is not like business. They are driven by very, very different forces. Our commercial clients measure themselves in EBITA; how much cash they generate; and ROI, how quickly and how effectively and how efficiently they turn that cash. That is a very clear and very simple message. In the case of our public sector clients it is more complex. Ultimately the federal government is comprised of a number of critical missions and each of those missions may have a different value proposition. What we lay out in the book is that if we equate mission effectiveness with value then how can we begin to measure value in such a way that it will inform the enterprise improvement activity that we are taking within our agencies. If you look at mission effectiveness or value it can be illustrated as a very simple equation – where the numerator is quality of service, and the denominator is cost and time. What this really says is that anything that we do to improve time or cost without negatively impacting service levels ultimately is adding value to our missions. The more time that we can take out of our government processes, of our government missions we will ultimately drive down costs synonymously or at the same time improving service levels. WashingtonExec: What are a couple examples of key operating models that you reference as cost savings projects or initiatives? Chuck Prow: The third section of the book really focuses on important improvement techniques such as improving the effectiveness of the IT infrastructure through cloud computing models or other initiatives. We also talk about analytics as a way to improve the outcomes of government missions. In many cases predictive analytics can transform how we utilize operational data in order to be able to predict future activities and thus eliminating the need to do non-value added tasks in the future. Predictive analytics has proven very useful to clients, and has gotten the most use in areas such as fraud, logistics, etc. We also talk about improving the performance of government supply chains. The book talks a lot about procurement but this is really more than about procurement. It is providing an instrumented end-to-end supply chain process by which we can improve the overall effectiveness and efficiency of our supply chain. We talked quite a bit about shared services and the government quite frankly is an exemplar in many cases of shared services that work very well. WashingtonExec: Where do you think we are on the scale regarding predictive analytics and effectiveness? Chuck Prow: We have seen the adoption of predictive analytics in government across a wide spectrum. There are many good examples of where the government is state of the art and leading edge at using analytics; such as revenue, fraud, and intelligence missions. There are examples of where the public sector application of predictive analytics is being copied by the private sector. Often we think of the adoption of private sector best practices but in this case it’s just the opposite – the private sector is adopting public sector best practices – to great affect. There are areas of the federal government, like any large organization, that can become much more efficient, and much more effective by more rapidly adopting a predictive analytics capability. WashingtonExec: Is there something you learned in the process of getting your book published that you weren’t expecting? Chuck Prow: What the book really did for us – and this surprised me a little bit – is it helped us from a business perspective to communicate with our clients in such a way that was very clear and very focused on what our clients are really trying to accomplish in these current budgetary environments. How clients can improve the effectiveness of their missions and do so at a lower cost point that hasn’t always been the culture or priority of the government. So, it has been fascinating to see how many of our clients are really adopting to this new reality in a way that is positive and ultimately going to provide better outcomes for our nation. WashingtonExec: Where can readers purchase Governing to Win? Chuck Prow: You can purchase the book through Amazon, Barnes & Noble, and Roman and Littlefield (publisher). And stay tuned for the release of a companion book titled Fast Gov, that builds upon the lessons learned in Governing to Win.